Even the BCCI has cancelled the opening ceremony of the IPL and have decided to donate the money to the martyrs. The 12th edition of the Indian Premier League (IPL) is around the corner and the teams are busy with their last-minute preparations. Analysis and predictions are in full flow. 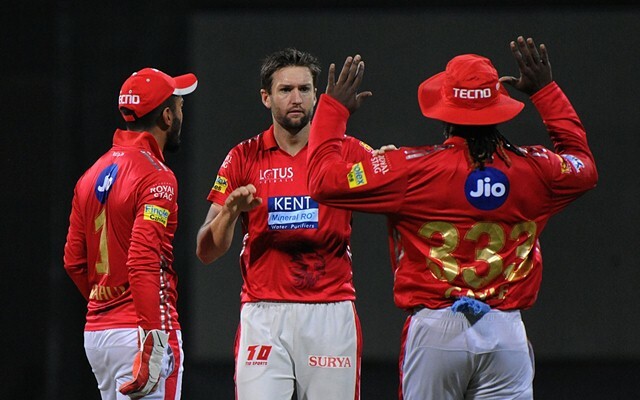 However, amid all the cricketing activities, philanthropy also prevailed in the IPL circles as one of the franchises – Kings XI Punjab (KXIP) decided to donate Rs 5 lakh each to the families of five CRPF jawans from Punjab and Himachal Pradesh who lost their lives in a suicide terror attack in Jammu and Kashmir’s Pulwama in February. The cheques were handed over to the kin of the families of the martyrs. Over 40 jawans were killed in the deadly attack on a CRPF convoy on a fateful day, resulting in tension between India and Pakistan in the subsequent days. Even the world of cricket was not untouched as voices came up in India to boycott the match with Pakistan scheduled at the upcoming World Cup in June after Pakistan-based terror outfit Jaish-e-Mohammed claimed responsibility for the attacks. The cheques were handed over to the bereaved families of Jaimal Singh, Maninder Singh, Kulwinder Singh, Sukhjinder Singh and Tilak Raj. KXIP skipper Ravi Ashwin and DIG CRPF V K Kaundal were present at the event where the martyrs’ families were assisted, Sportstar cited agencies as reporting. Earlier this month, the Indian cricket team donated the fees of their third ODI match against Australia in Ranchi to the families of the Pulwama martyrs. Indian captain Virat Kohli also urged everybody to stand by the side of the families in whatever capacity possible. Earlier, Ashwin said that he believed the cricketers will have to do the job of keeping a watch on their workload during the tournament which begins on May 24. The Kings will play their first game against Rajasthan Royals in Jaipur on March 25. The Kings started off well last year but could not maintain the momentum to eventually fail to qualify for the playoffs.